by my love and respect for the score. For me, music is a compelling theatrical ‘gesture’ which should never be betrayed by the director. I am passionate about bringing great masterpieces to the stage. I always adopt an intensely visual approach, echoing tradition and at the same time enhancing and complementing the composer’s intentions. and triumphantly reveal what is of lasting importance. Patrizia Di Paolo has spent the past decade directing and producing opera in Italy and abroad. Her productions have been well received by the audience and critics alike and have been referred to as “Wonderfully innovative”, and “Breathtakingly beautiful”. In 2005 she became the Artistic Director of Musica a Palazzo in the Palazzo Barbarigo-Minotto in Venice. For Musica a Palazzo she has directed Rossini’s Il Barbiere di Siviglia, Verdi’s Rigoletto, and La Traviata, which the NY Times referred to as a “Striking Traviata”. Weltexpress wrote “…the passions and emotions bubbled throughout the theatre”, and Le Figaro referred to the production as “Transfigured by grace”. the Teatro di Silandro, and the Teatro di Vipiteno. In 2008 she directed Il Barbiere di Siviglia at the Potsdam International Festival in Germany and in 2007 her production of La Traviata was presented at the Royal Pavilion in Brighton for the 41st Brighton International Festival in the United Kingdom. The production was warmly praised by audiences and critics and won the Brighton Argus press award for “best production of the Festival”. 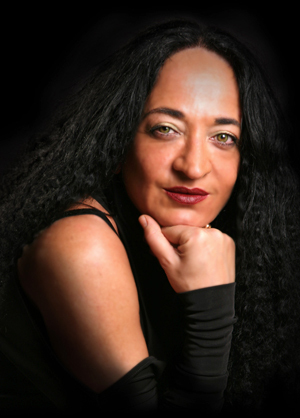 She has been artistic director of the opera production house “Dimensione lirica” since 2011.
di Cagliari and viola at the Conservatorio di Musica di Firenze. She has performed as first viola and soloist in the European Community Chamber orchestra, the Rai Orchestra in Milan, the Toscanini Orchestra in Parma, Bologna City Theatre and the Teatro La Fenice in Venice.